So maybe you heard that The Blue Band is going on an indefinite hiatus starting the middle of January 2018. Well, you heard right! Although we have not totally ruled out a few Reunion Shows, nothing is planned and no offers have been received. Altho' The Blue Band has stopped, the monthly bills have not! 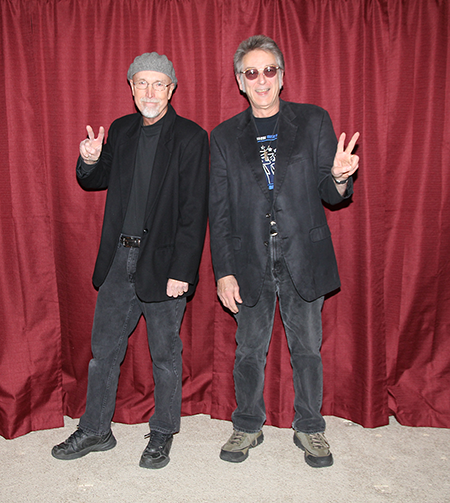 The Blue 2 (Bob Dorr and Jeff Petersen, the last two original Blue Banders) still needs to make a living playing music! 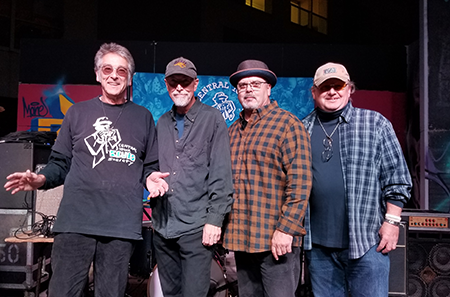 Please consider all the other bands Bob and Jeff currently have going for town celebrations, neighborhood gatherings, corporate functions, casino stages, wineries, garage/deck parties, and bars/nightspots. 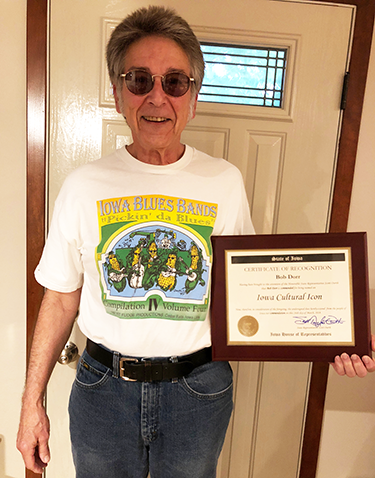 The Blue 2: Both members are twice inducted into the Iowa Rock'n'Roll Hall of Fame and individually inducted into the Iowa Blues Hall of Fame. 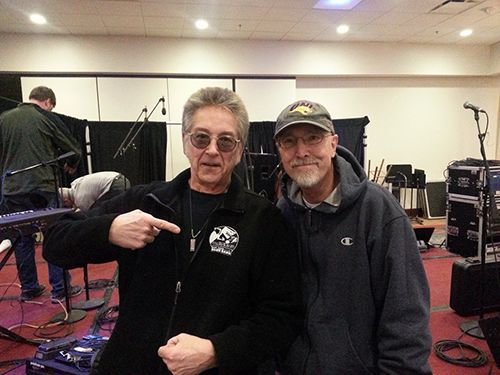 Jeff Petersen-guitar/vocals; Bob Dorr-drums/harmonica/vocals. The song list comes from 37 years of playing music together. 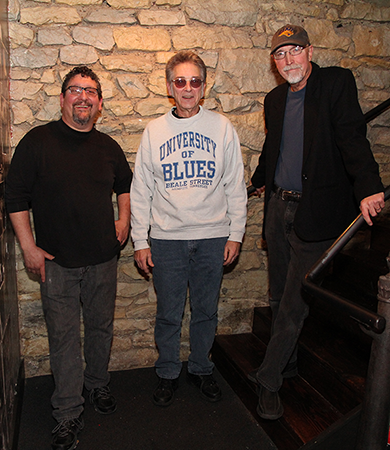 Blues, Rockabilly, Americana, even a country song and maybe an old Blue Band song or three! Jammers welcome to sit in. Jokes and laughter a mainstay of each performance. This band is willing to travel a few hundred miles from its base in Cedar Falls/Waterloo. The Blue 2 can deliver all necessary sound equipment for a crowd up to 200. Price, always negotiable, generally $300-$600 depending on travel time/if we do sound/length of performance time/ and if you'll feed us! 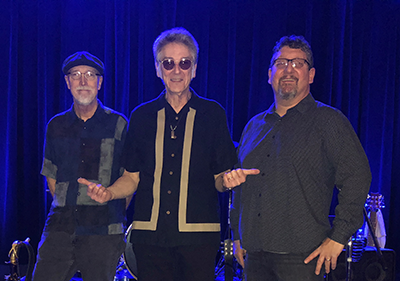 The Blue 2 has had many successes at Tabor Home Winery and have been invited by The South Skunk Blues Society to be the between-band entertainment for the 2018 Bowlful of Blues Festival. Please feel free to contact either of them for recommendations/insight. See The Blue 2 performance of Wayfaring Stranger on Iowa Public Television's 9/11 Commemorative show a few years ago. 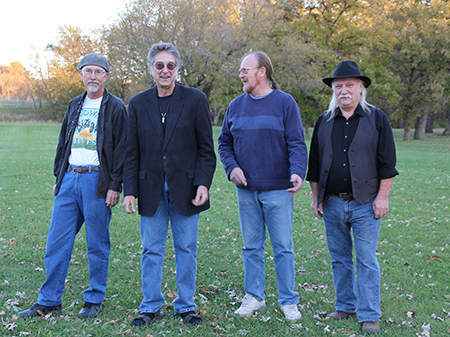 The Parlor City Jam Band is comprised of four Iowa Blues Hall of Fame inductees, Bob Dorr-drums/harp/vocals, Jeff Petersen guitar/vocals, Dan (DJ) Johnson-bass/vocals, and Tommy 'T-Bone' Giblin-organ/piano . 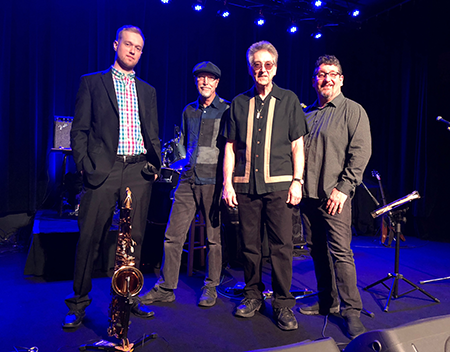 This band is the host of the Parlor City Pub Tuesday night jam in Cedar Rapids (hence the band's name) on the final Tuesday of every month. Playlist is always impromptu with blues, Americana, country, and originals all in the mix. This band rarely travels more than 75 miles from DJ and T-Bone's home base in Cedar Rapids. Price $500-$1000 based on travel time and expenses/if we need to supply a sound system/ and if you'll feed us! One last note on Blue Band availability. Right before we went on for the last time, I told the band to have fun because it was likely the last time The Blue Band would ever play. Someone shouted out, "But Bob, what if someone offers us a whole GOB of money?!" My answer was "well, we'd need to know where and when to show up!"